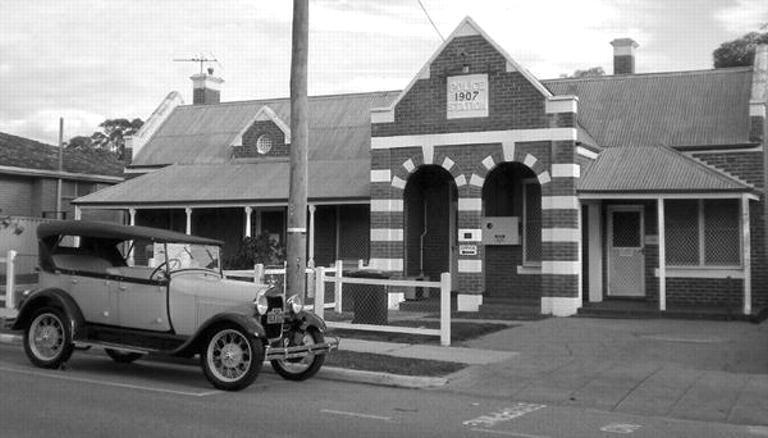 The North Perth Police Station was built in Angove Street in 1907, with the keys being handed over to the Inspector of Police on 30 January 1908. Designed by Hillson Beasley, the building cost £816. The station is an example of Federation Free Classical style functional architecture: Single storey, built of brick, with an iron roof and wooden floors. With its double-arched front porch decorated with the distinctive ‘blood and bandages’ design of horizontal stripes of brickwork and render, the building was an example of the exuberant architectural style of the later gold boom era. This decoration is also a feature of two other police stations built in the Perth area at this time in South Perth and Victoria Park. The Western Australian Police Force expanded in the early 1900s, particularly in suburban areas, as a response to the increase in crime and disorder resulting from the growing population of Western Australia in the wake of the gold boom. North Perth was a newly hatched residential area in the last years of the 1800s but quickly attracted more residents due to its proximity to the city. The Western Australian Police Historical Society. In 1902, Foot Constable Joseph Foulkes was assigned to patrol the North Perth area and lived and operated out of rented accommodation. He was succeeded by Constable James Strappe, who also rented locally, in 1903. On 11 May 1907, the Commissioner of Police advised the Under Secretary of Works that provision for a police station at North Perth was included in the Estimates for 1907-08. He requested sketch plans and cost estimates to be prepared, with a view to building the new station as soon as possible, although a suitable site had not yet been found. In subsequent months, Lots 15 and 16 Angove St were purchased from John Nicol of Fremantle for the purpose of building the proposed police station and quarters. The contract for its build was awarded in September 1907 to well-known building contractors Franklin & Finlay. As was common practice at the time, the station included residential quarters for the senior officer as well as office space, a change room and cells for the actual police station under one roof. 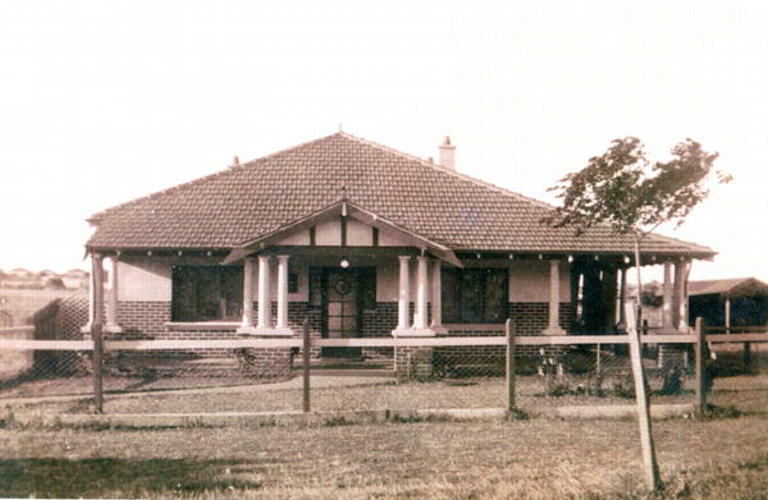 When Constable Crawford retired, he did not move far, retiring to this house he named “Worthy Park” at 12 Bourke Street North Perth. Behind the premises at 10, 12 and 14 Bourke Street, which today back onto Charles Veryard Reserve, the retired constable built stables for trotting horses and his sons’ milk cart horses. Worthy Park Stables operated as a milk vendor business and trotting stables from 1930 to 1964.The cart horses were withdrawn from service in 1957 and replaced by motor vehicles. In the late 20th century it became less common for Officers in Charge to live at police stations and the last police resident moved out in 1995. In 1999, the station was included on the WA Register of Heritage Places. The station remained in use by the police until 2009 when it was purchased by the City of Vincent. In 2015 the property was sold again and in 2017 construction commenced on a separate building behind the heritage listed police station, for a privately run long day care centre. City Of Vincent Local History Centre – OH0193 interview with John McIntosh.